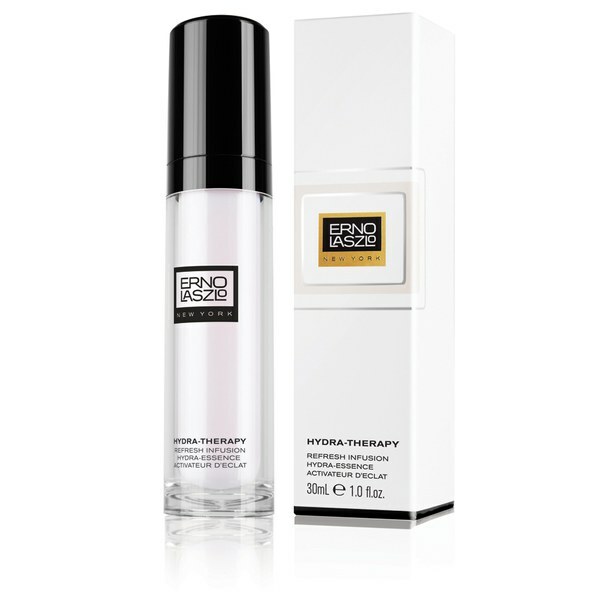 Experience intense hydration with Erno Laszlo Hydra-Therapy Refresh Infusion Serum, a lightweight, silky serum that works to treat and restore dry skin. With a Triple-Action Moisture Charge Complex, the formula penetrates three levels of skin to preserve and maintain optimum moisture levels. 'Moisture magnets' attract and bind moisture whilst preventing water loss, and protecting probiotics and super-hydrators instantly soothe and smoothen the skin's surface and deep down. Giving you the famous 'Laszlo Glow', this serum will plump up skin for a youthful appearance and leave you feeling super-hydrated with a moisturised, reinvigorated complexion. Use daily, as part of your Erno Laszlo ritual, morning and night. After cleansing and toning, smooth over face and neck, avoiding eye area. 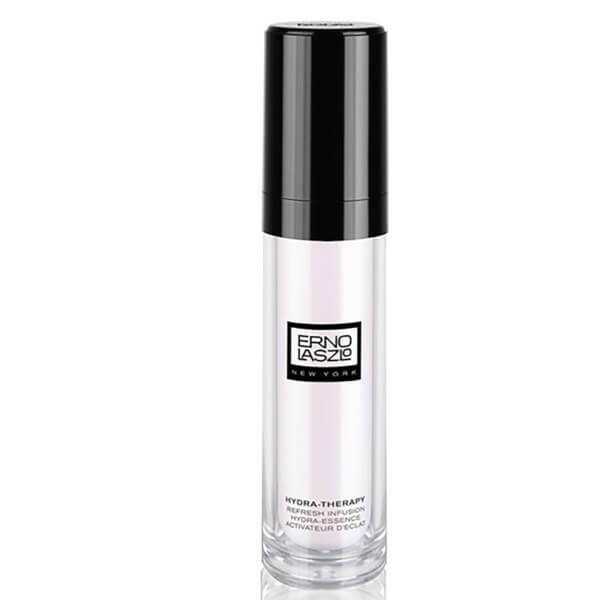 Follow with the Erno Laszlo treatments and moisturiser prescribed for your skin. For maximum hydration, use with Erno Laszlo Hydra-Therapy Skin Vitality Treatment Mask and Memory Sleep Mask. Ideal for quenching ‘thirsty’ skin. Water (Aqua/Eau), Pentylene Glycol, Polysorbate 20, Hyaluronic Acid, Silanetriol, Rosa Canina Leaf Extract, Aloe Barbadensis Leaf Extract, Sodium Pca, Caffeine, Sodium Hyaluronate, Sucrose Palmitate, Glycerin, Caprylic/Capric Triglyceride, Butylene Glycol, Tocopheryl Acetate, Glyceryl Linoleate, Acrylates/C 10-30 Alkyl Acrylate Crosspolymer, Disodium Edta, Citric Acid, Sodium Hydroxide, Potassium Sorbate, Sorbic Acid, Benzyl Alcohol, Caprylyl Glycol, Hexylene Glycol, Phenoxyethanol, Red (Ci 14700).